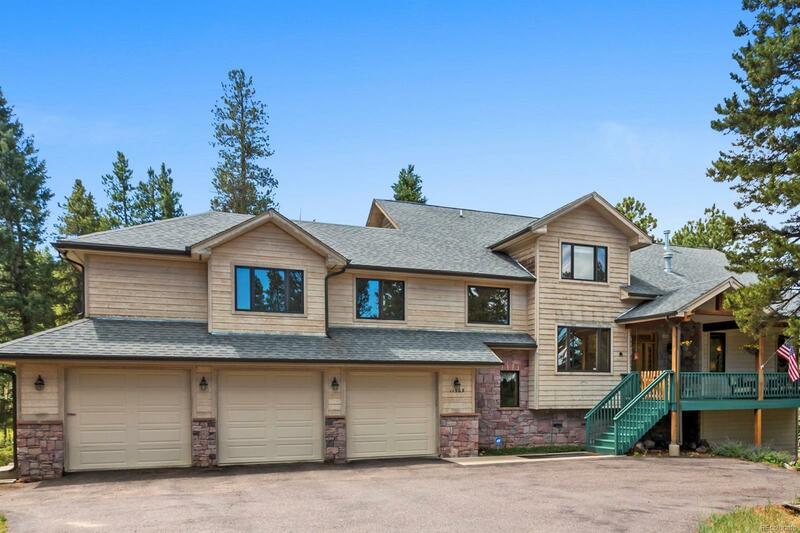 Dreaming of mountain living in a serene, peaceful location with total privacy? Donât miss this home! Walking into this incredible mountain contemporary will have you imagining intimate family get-togethers and large holiday parties with friends. And donât miss the open kitchen with large center island, Sub-zero refrigerator, and 2 pantries. Each bedroom has a large walk-in closet and an attached bathroom. Enjoy a warm fire in the master bedroom or step out onto your private deck. The large great room in the walkout basement makes the ultimate game zone with wet bar and adjacent wine cellar. And the media room makes for a relaxing movie night space. Outside, the home continues to inspire. Situated on 10 acres of useable land with room for your horses and no neighbors in sight. Multiple decks give space to watch the neighborhood deer and visiting hummingbirds. 2-stall barn, outdoor corral, and fenced property make this ideal for horse enthusiasts. Zoning and water allow for horses too!